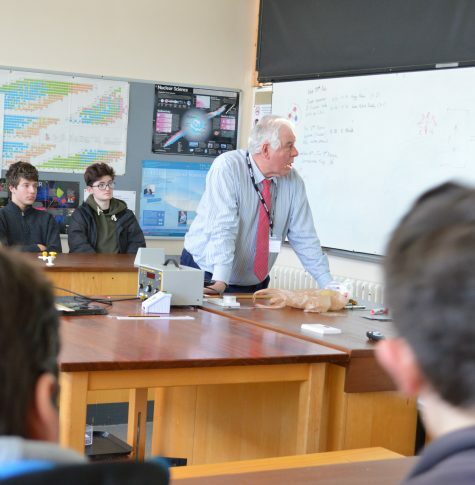 Highly respected scientist and researcher Dr Vincent Smith (MBE) visited Brockenhurst College recently to deliver a talk to A Level Physics students. During his visit, he spoke in depth about the physics behind the discovery of the Higgs boson ‘God’ particle, and in a second speech covered the topic of wave-particle duality. Dr Smith works as an academic at the University of Bristol, and his life’s work in physics includes over 30 years at the European Organization for Nuclear Research (CERN) in Switzerland. At CERN he has experimented using the famous Large Hadron Collider (LHC), which is the world’s biggest and most powerful particle accelerator. It was at CERN that he and his colleagues identified the Higgs boson particle, which helps explain how the universe obtained its mass. Up until then, the particle’s existence had been only a theory. 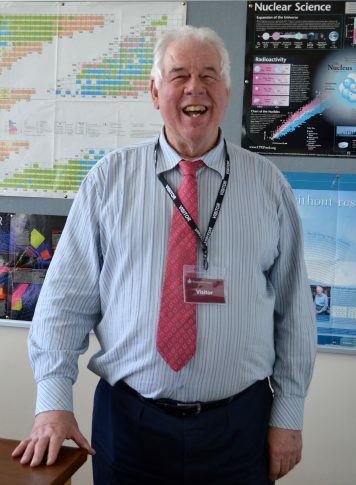 Physics teacher Hugo Gibson explained: “Many of the topics covered in Dr Vincent Smith’s speech are in the A Level Physics syllabus, so this visit really supplements the students’ revision. “Of course, he went beyond this in his talk and added more depth and detail to really get the students thinking. “Many of them will go on to study physics-related subjects at higher levels, so it also gave them inspiration for what they might like to learn in the future,” he added. Dr Vincent’s guest speech was the first of a series of STEM-related events at the College in the run-up to British Science Week, which runs from 9th– 18th March.